The strategy adopted by the Apple plans to "increase sales from Apple brand stores and stop indiscriminate online discounting which distorts brand image". The discount on Apple's iPhones might come to an end after the new sales strategy adopted by the newly assigned Indian CEO, Michel Coulomb. The company is planning to build its offline channels in the country and has slashed the distributors margin for distributors. Apple has halved the distributor margin to 1.7-2.5 percent and given distributor specific areas to protect those margins. 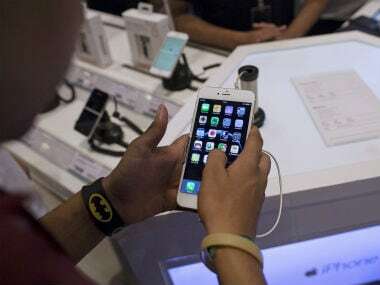 According to a report on the Economic Times, earlier, the company used to sell the iPhones to any trade partner, that allowed them to distribute the margin percent and give discount to the customers. According to the report, the company has increased the distributor margin from 4-5 percent to 5-7 percent for Apple exclusive franchise-run Apple stores to build its offline channels in the country. The report mentioned that Apple is likely to open company-owned stores in 2020-2021. The new strategy adopted by the company plans to "increase sales from Apple brand stores and stop indiscriminate online discounting which distorts brand image". Online sales account for a little more than half of all iPhones sold in the country. Apple has also mandated five distributors to manage sales in specific territories and with trade partners in India. The distributors include Ingram Micro, Redington, Rashi Peripherals, Brightstar and HCL Info-systems. Apple's dominance in the premium smartphone segment is currently under stress as brands including OnePlus, Xiaomi, Oppo, Vivo and Motorola have started launching smartphones in the 20k plus segment. The company reported 17 percent revenue growth, its lowest in six years in 2017. The company appointed Michel Coulomb as its India CEO after Sanjay Kaul stepped down as the head.